The much awaited Apple smartphone finally made its debut this year and instantly got tagged as the best iPhone to date. IPhone lovers had to cool their heels until the launch of iPhone 5. It has been marked as a complete package & also offers everything wanted in its predecessor iphone4S and more. Yes! that means it has a advance A6 processor, 4G LTE, a longer and larger screen, free turn-by-turn navigation & is gorgeously slim and feather-light. The smartphone created a buzz when it went on sale in the US and Canada just after its launch in Australia, Japan, Hong Kong, Singapore, Britain France & Germany followed by 22 more countries in the next one week. It was estimated by the analysts that Apple will ship as many as 10 million of its iPhone by the end of September. IPhone 5 is really fragile and surprisingly light, weighing just about 112 grams in contrast to the robust appearance of the 4S. The most distinct feature of the smartphone is its all glass and aluminium chassis which certainly won the title of “The thinnest smartphone at 7.6mm.” It is claimed to be the lightest iPhone ever. Its remarkable display showcases a 4 inch LED backlit IPS TFT capacitive screen with a sharp 326 ppi pixel density. The smartphone is designed with an advanced iOS 6 operating system with a 1.5GHZ Apple A6 Dual core processor. 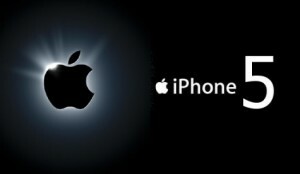 No doubt Apple iPhone 5 was the most anticipated phone of the year 2012. The smartphone is embedded with an impressive 8MP camera which is in accord with a backlit CMOS image sensor. The camera exhibits features like geo tagging, auto focus Panorama LED flash, touch focus and face detection. It has also got a 1MP front camera with HD Facetime support feature for Wi-Fi and 3G/4G networks. The phone’s battery and storage capacity is expected to be same as its previous version 4S i.e. of 8 hours in 2G and 3G. It is also available in variants of 16. 32 & 62 GB internal memory. In this version Apple has revamped its iMap feature, moving away from Google Maps which was previously being used. Talking about the internet features it supports internet access through GPRS, EDGE, 3G, Wifi and 4G LTE. During its launch Apple jammed shops across the globe covering Asia, Europe and North America which were the first ones to get their hands on the latest version of the smartphone. 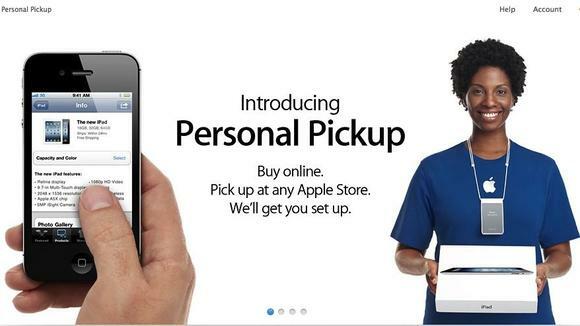 Apple has new strategy to avoid their store from having too crowded by launching a new pick up service for their loyal customers, you just order trough their online shop and pick them up in apple store you think it’s most convenience for you. This service will give you pleasant feeling for not having to line up and be able to save you some time. In New York around seven hundred iPhone lovers lined up outside the Apple’s 5th Avenue Store. Whereas in London, obsession for the latest iPhone 5 touched its peak when some customers literally camped out for as long as a week to get their hands on the smartphone. In Hong Kong, the first shoppers were greeted by the staff in a cheerful way and “iPhone5” eco sound followed. With introducing new and improved iPhone among the smartphone lovers, Apple has surely provided the existing iGeneration another cutting-edge iPhone technology to stick with the Apple ecosphere for another generation.